Here is a face of confident Anime drawing. 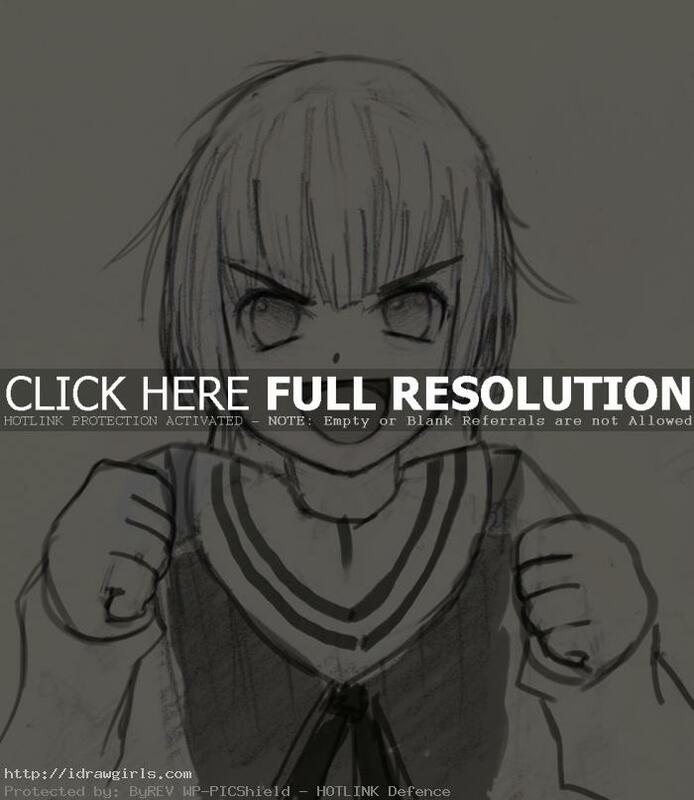 Below are step by step images how to draw Anime confident facial expression. Step one, as you can see the shape I drew. It is easy to start with a circle, the bottom of the circle should equal to three fourth of the height. You should use the given measurement guide on the side. I break the face in half and that usually where the eye will be positioning. Then the yellow chin line should complete the whole head continuous from the circle. Step two, follow the green line to make the measure guide for the eyes. Step three, I then fresh out the drawing with her eyes. Step four, I drew a nose and a mouth. Then done. You can also go watch the video tutorial on How to draw Anime face for real time in depth Anime face drawing instruction.